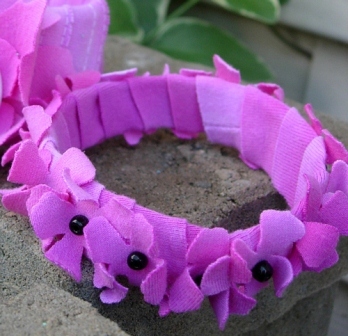 Recycle water bottles into fun pink flower bracelets with this craft project from Tiffany Windsor. This is a quick and easy project! Just grab your Big Shot and dye. 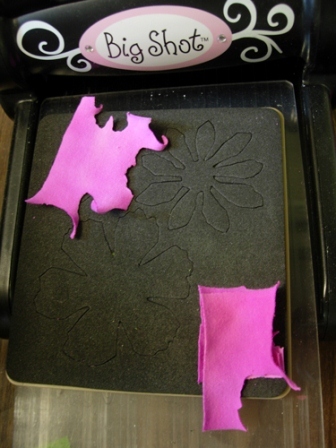 Measure and cut your fabric to fit die. 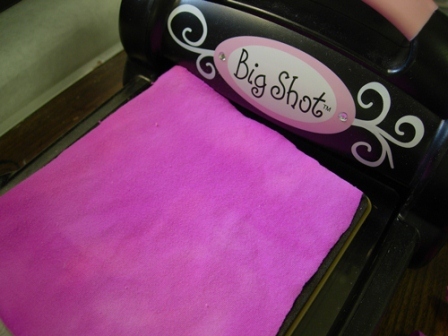 Lay fabric face down onto die, layer with the cutter pads and run through the Big Shot. 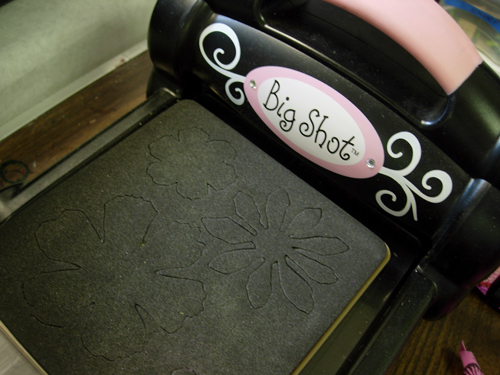 To cut more of one design shape, just cut and layer several pieces of fabric over design on die, layer with the cutter pads and run through the Big Shot. 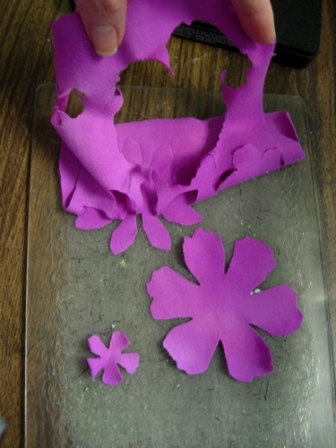 I like to use every small scrap of fabric I have with this die so I cut lots of the tiny flower shapes. 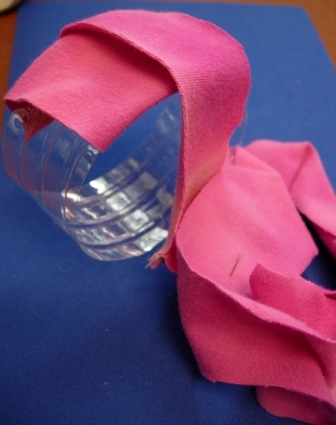 To create the bracelet shape, measure, mark and cut water bottle to size with scissors or craft knife. (You can vary the widths of the bracelets depending on desired style.) 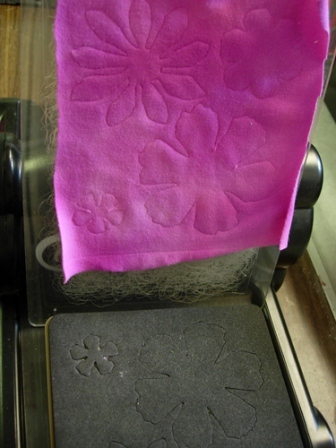 Cut or tear strip of fabric to desired width and length. On the wide bracelet, I cut a fabric strip approximately 1-1/2” wide. 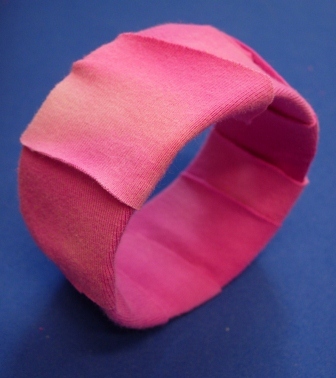 On the narrow bracelet, I cut a strip of fabric approximately 1” wide. Apply glue to outside of water bottle working one section at a time. Place end of fabric in glue and begin wrapping fabric strip around bracelet continuing to apply glue to entire bracelet surface. After entire bracelet is wrapped, cut off excess and glue end in place. 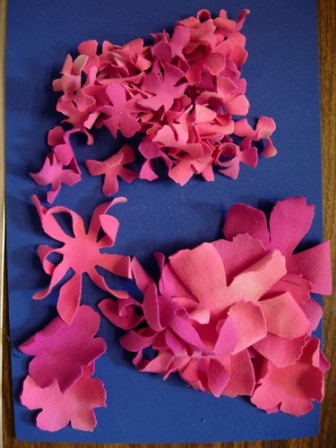 Layer your cut flowers, gluing together in the center of each flower. Keep adding layers until desired size is achieved. Glue button in center of top flowerl. 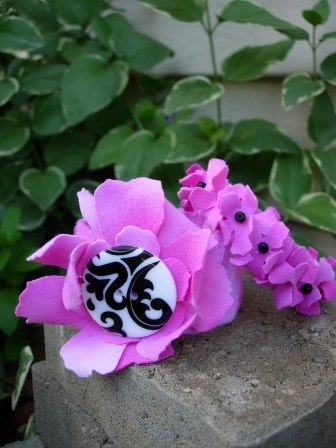 Glue flower to top of bracelet. Let dry. For narrow bracelet, cut water bottle to desired width. Wrap with strip of fabric and glue in place. Glue single small flowers around bracelet. Glue small bead to center of each flower. Let dry. 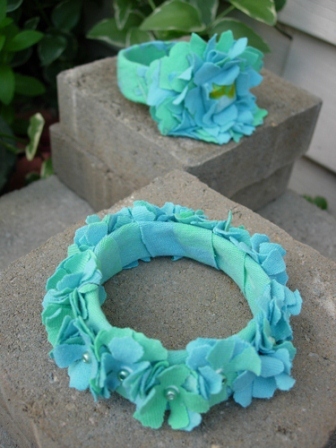 Tiffany’s Designer Tip: This is a really great recycle project to use up fabric remnants or clothing. I also love to use t-shirts from the consignment stores and dye them to my color palette. The really thick t-shirt materials work really well for this project. Feeling insipred by these adorable bracelets? Check out our collection of 14 Easy to Make Water Bottle Crafts, including some other fun jewelry projects! Watch the Water Bottle Bracelets video here. I don't have the tool required so I did it free hand and totally surprised myself. I did so much better than I ever thought I could. It's not a hard project at all but it is time consuming. Patience is part of the job. The outcome is well worth the work. Solve the look and idea of this project! But even though I have lots of sewing and craft stuff, is do not have this cutting tool. But I could see free handing a similar design and cutting several layers of fabric at once. A little more work, but still gets the job done. Alternatively some old silk flowers or petals would work too. Add the button, or some pretty flat marbles, or faux pearls here and there would be pretty too! Great project! Very cool and colorful project. I like how this reuses some of those plastic bottles we recycle. And I have that die in my collection now I have another reason to use it. Thank you for this idea. 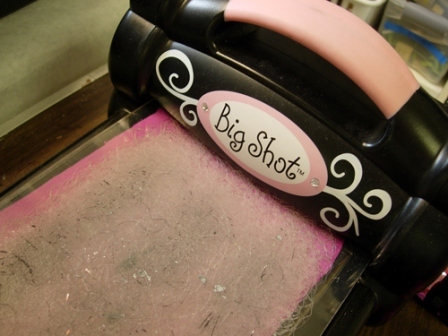 I think this would be a fun gift to make for a group of young girls at a tea party. What do you think? I Love the bracelets there adorable.. Great gifts for the girls..
You can also use the 2 liter soda bottles and cut it to use as a headband. I luv these bracelets-so cute! A great way to recycle & even though the directions suggest using a Sissix, other supplies or even handmade cut-outs could be used!